In a small community of 5,523 people, Lebanon, Ill. is a tight knit community full of hometown pride and yearly celebrations that draw people out of their historic homes. As you drive down the beautiful brick road and look at the worn storefronts, it is apparent each of these buildings are beautifully decorated with vintage clothing and homely antiques presented in storefront windows. With loosely-draped spider webs hanging in every corner, Lebanon’s historic architectures make the town very appealing to inhabitants and visitors alike. 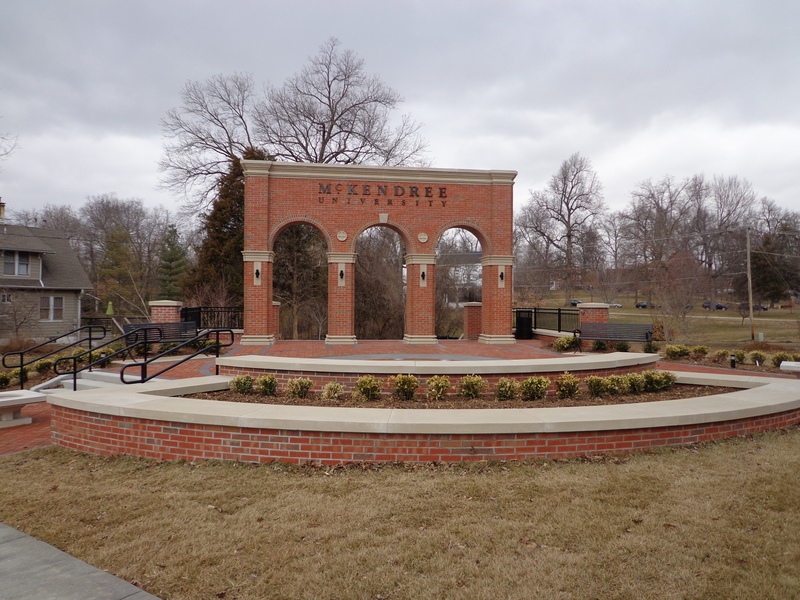 At the end of the road, there is a welcoming brick monument with a fountain reading “McKendree University.” Suddenly you feel like you are no longer in Lebanon. Kaleigh Admire, co-coordinator of traditional events for Campus Activities Board (CAB) at McKendree University, said that she feels students, faculty and staff are doing what they can to promote McKendree University’s name and events to Lebanon. By planning events like Spring Fling, Homecoming and tailgate parties for the community, we are not only inviting residents of Lebanon to our campus but also welcoming their families and friends outside of Lebanon, Ill.
A variety of local bars, like Brewers Bar and Grill, tries to appeal to McKendree students with attractions like in-house DJs and special theme nights. It is a question as to why other local businesses are not taking the extra steps of making Lebanon a college-friendly town. As you can see, McKendree University and Lebanon, Ill. have had a long history in the cat and mouse game of whom this town belongs to, but the relationship between the two has improved and will hopefully continue to improve as we expand. I believe this quote holds a lot of truth. With McKendree’s expansion,, there is no doubt that the community will be more involved with our athletics, arts programs, and campus events and will continue to be more visible and vocal in the Bearcat family.